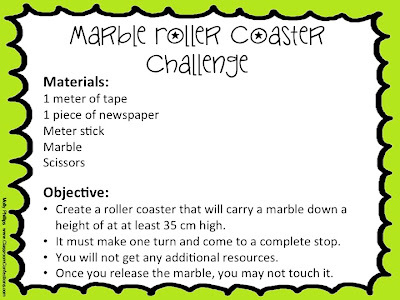 I posted some of these activities last year, but felt they needed a bit of revamping and a revisit! As soon as letters go out to students, I know that parents and students are on the school website to find their teacher's webpage. I love to have several things for my students to do prior to them even setting foot in the classroom. This gives students a chance to get to know their peers and make connections. 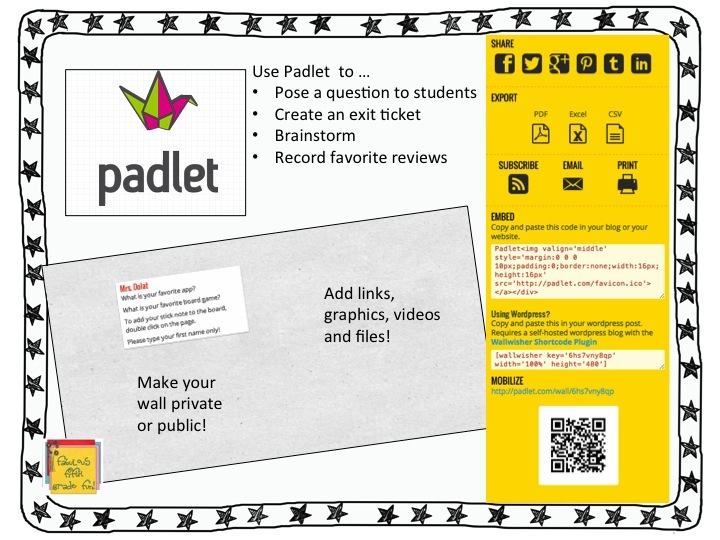 I like to set up a Padlet wall. It's like a virtual sticky note wall. I add the link to my class web page. 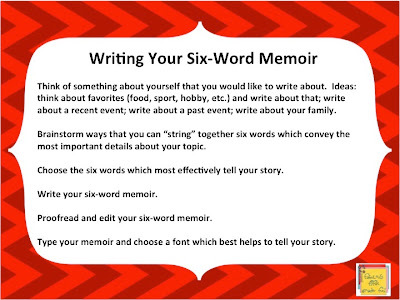 I post the first sticky that asks students to write about their favorite app and board game. I use this information to help me make a connection with my students as the walk through the door on "Meet the Teacher" night. By that time, I've tried to memorize the app that each student likes and will have downloaded them. 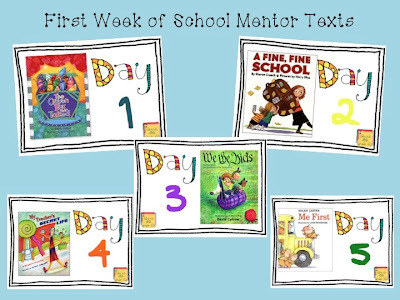 Collaboration Cuties did a great linky about mentor texts for back to school! Here is my post! Click on the graphic so it will take you to the post. Then hop on over to all the other posts. 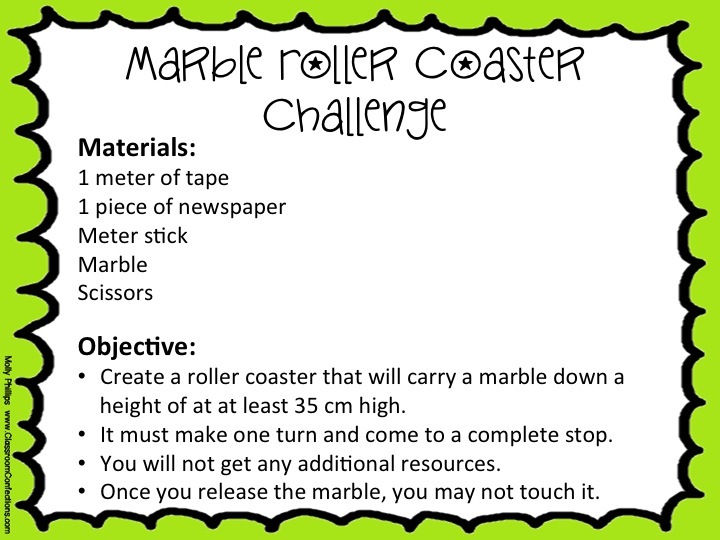 Marble Ramp - This is my all time favorite! I pose this challenge to my students. They must work in teams to complete the challenge. As they work, it gives me a chance to see how they interact with their peers. It is very eye opening to see how they work collaboratively. My favorite activity is to have each student draw themselves as a "scientist." I also have them include a speech bubble. In the bubble they must write, "As a scientist, I want to study...." They fill in the rest with something they would like to study. It become an independent project during the year. Now, my shameless plug! 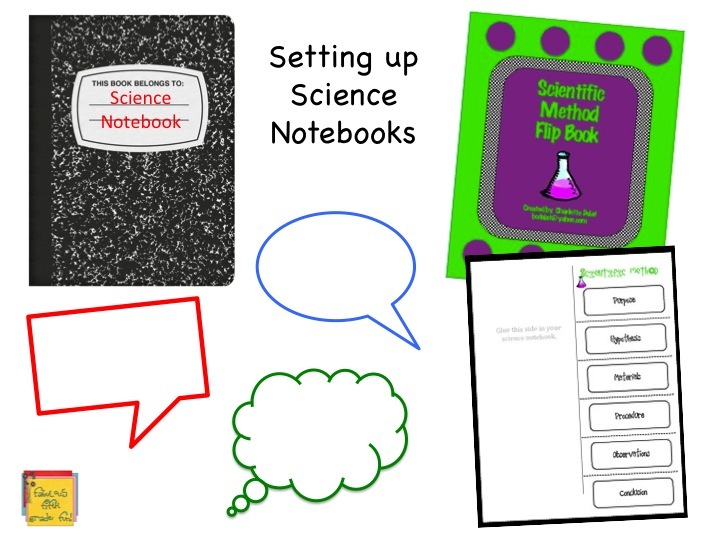 I also have my students put together a Scientific Method Flip Book. The cover is in desperate need of a make-over, but the activity is great for adding to your science notebook. You can find it at my TpT store. 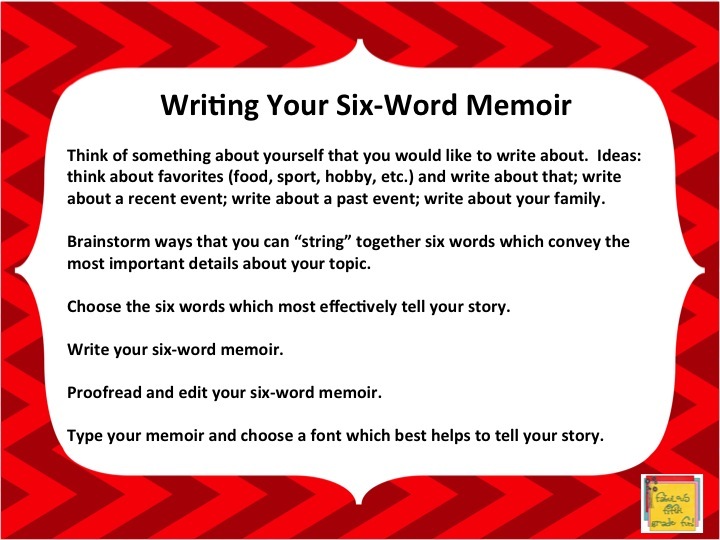 6 Word Memoir - I'm posting this one again! Thanks, Alma! 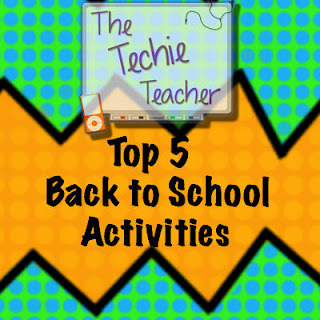 Join Techie Teacher's linky with your top 5 back to school activities! I know you have some great things to share! What great activities! 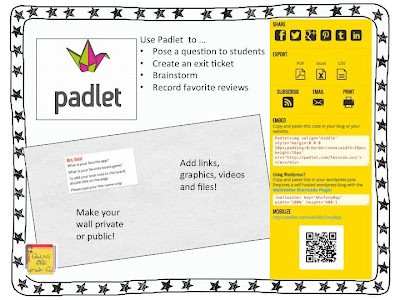 I LOVE how you used Padlet :) Thanks for linking up. I so wish I did, but don't! I really just let them create. It was all about how they worked as a team. So, sorry! Book Review #1 ~ Blucy! Fun "Happys" in the Mail! Mentor Text - Ruth Heller!